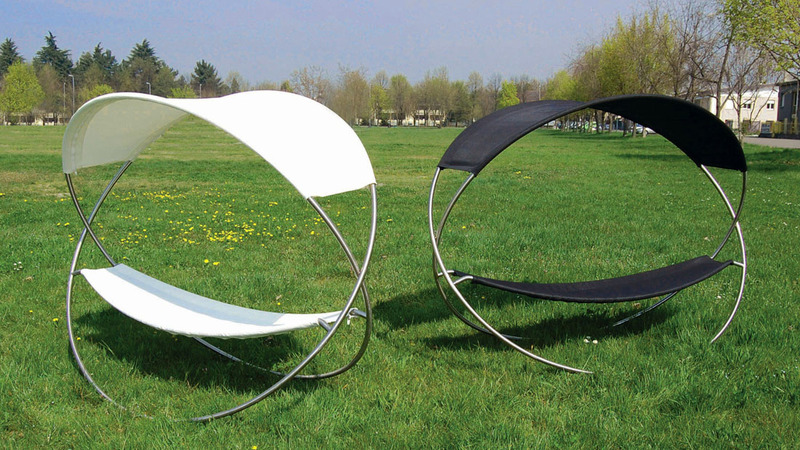 “OSMOSE” is an iconic “Foldable Rocking Lounger” for both outdoor and indoor use. 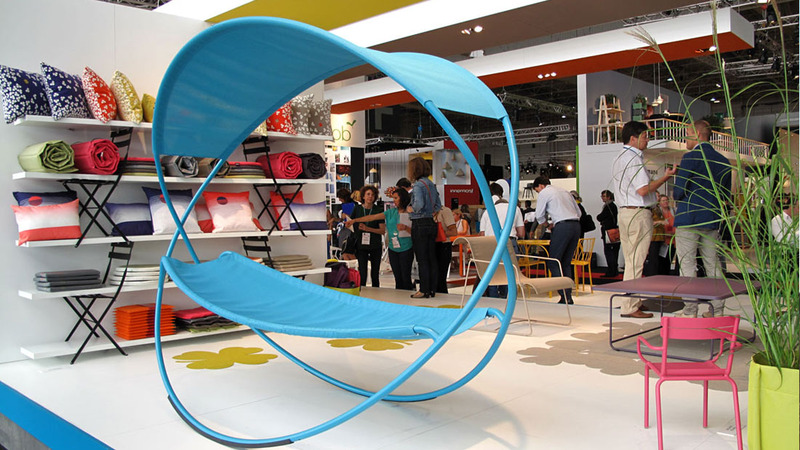 It is for the lounge, poolside, beach and garden as well as for waiting and relaxing areas. 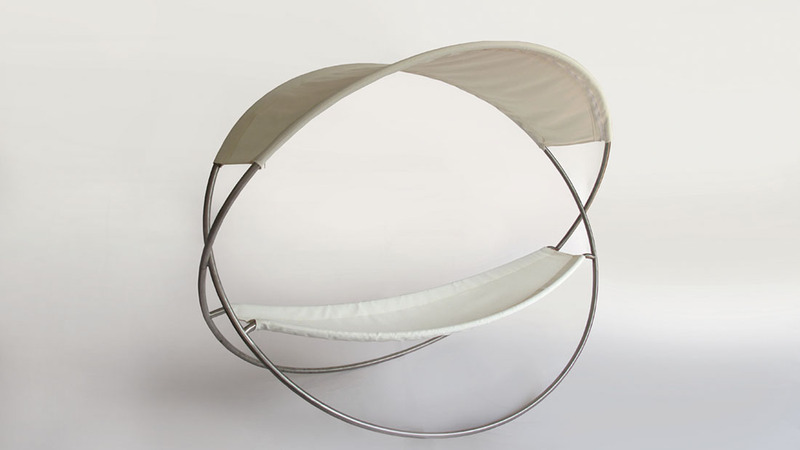 The two oval rings made from anti-corrosive stainless steel are hinged at the long axis in order to unfold and fold back the lounger. 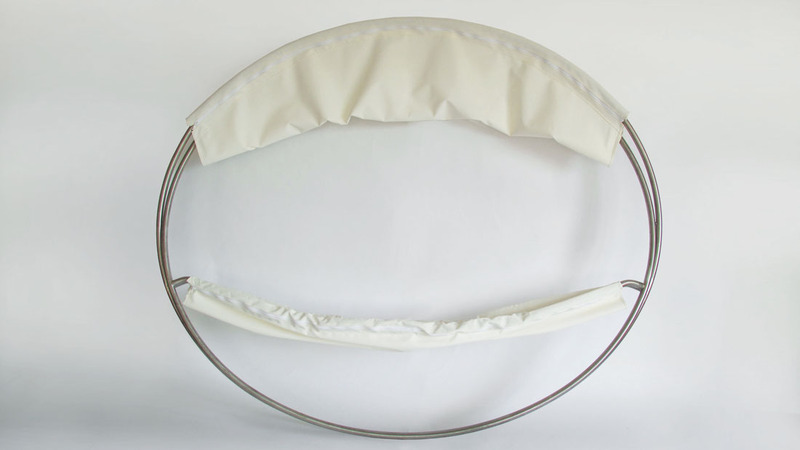 When it is in open position, the top and bottom fabrics are in tension, which keeps the rings in the right position. 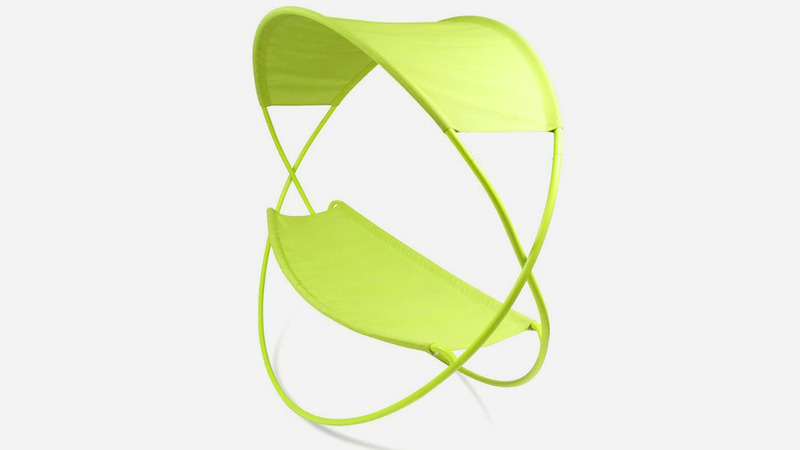 The fabric is easily removable thanks to zip fastener. 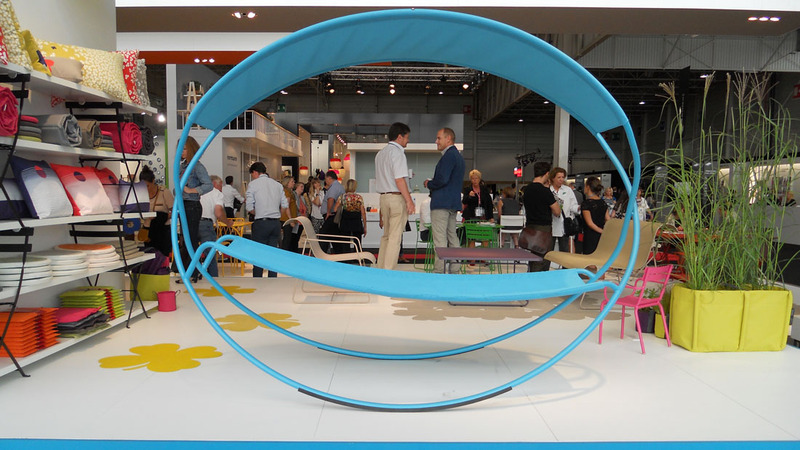 The bottom half is a deck chair where you can lie down for relaxing, and the curve of the rings allows the chair to ‘Rock’. 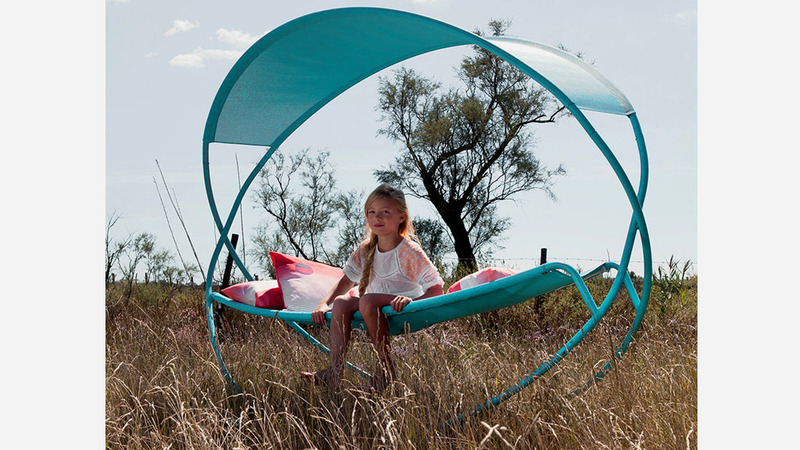 On the other hand, the top half functions as a ‘Parasol’. 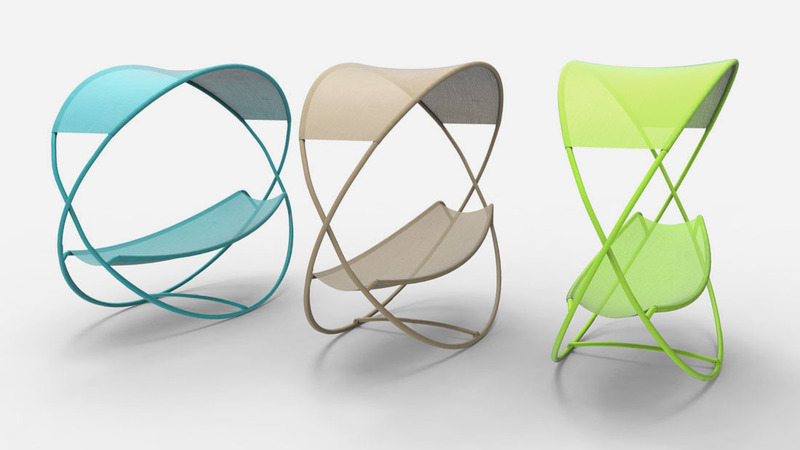 “OSMOSE” can be folded and put it way when it is not in use.